JD and his family moved to a different town in the same state, but T-Mobile didn’t have great reception in their new home. They had only one bar of service, but T-Mobile customer service staff assured the family that the service would get better. It didn’t. When his wife’s phone broke, they upgraded her phone and his son’s phone after assurances from the salesperson that having new, advanced smartphones would improve their reception. They did not. What the family would really like now, a year later, is to quit their T-Mobile contract and get on with their lives. That’s not an option without an early termination fee. From 2007 to 2009, my family and I lived in [Town 1], MD. The T-Mobile service was OK. In 2009, we moved to [Town 2], MD and discovered that T-Mobile’s signal was very weak (1 bar only). I immediately called the 611 support number and T-Mobile assured me that the signal in my area would be improved within a short time. In December, 2011 my wife’s phone (which we had purchased in 2009 from T-Mobile’s store in [Town 1]) broke down. We went to the closest T-Mobile store to our home in [Town 2], at [redacted] Mall. The salesperson said that, with recent smart phones, we would get a better signal. However, as soon as we tried the new phones, we realized that the quality of the signal in our area had not improved at all! I called again 611 to ask for a signal amplification device. I was told that this was not possible and that we would have to use our phones through Wi-Fi while inside our home. So we set up the phones to switch automatically from T-Mobile’s network to Wi-Fi. Alas, this does not work either, probably because the switching process isn’t fast enough. Zero or one bar signal on the phone network. As a result, many incoming calls don’t ring on the phones and get diverted directly to voice mail. No 4G signal available in this area. 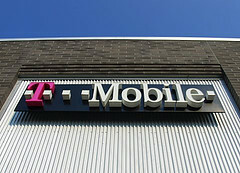 It will not be an easy decision to cancel our contract with T-Mobile. However, considering the explanations above, the logical conclusion for us is to look for an operator offering a signal of an appropriate quality in our area. Today I called T-Mobile’s Loyalty Department to discuss this. The answer was: “You signed a contract; you will have to pay $200 ETF per line”. This kind of answer just isn’t acceptable. The only reason for choosing an early termination of our contract with T-Mobile is a lack of satisfactory coverage. Considering that we cannot afford anymore to pay for a service we don’t get, I kindly request T-Mobile to waive the early termination fee (ETF) at the time we terminate our contract with them. The family held up their end of the contract and paid their bill: why can’t T-Mobile hold up theirs and either provide service or let them go? We recommend that they take their case to a higher authority. T-Mobile seems especially receptive to executive e-mail carpet bombs: start there.